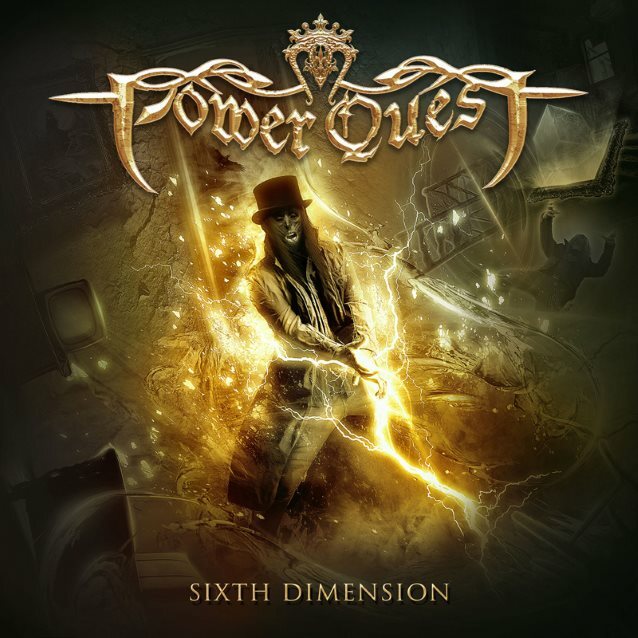 POWER QUEST, the renowned melodic power metal band based in the U.K., has released the official music video for the song “Lords Of Tomorrow”, the second single from its long-awaited sixth album, “Sixth Dimension”. The disc will be released on October 13 via Inner Wound Recordings in Europe and USA and on October 11 in Japan via Marquee/Avalon. “Sixth Dimension” was mastered by Jens Bogren (DRAGONFORCE, SYMPHONY X, ARCH ENEMY) and the artwork was created by Felipe Machado Franco (BLIND GUARDIAN, RHAPSODY OF FIRE, ICED EARTH). The album includes guest appearances by Anette Olzon (ex-NIGHTWISH), Andrea Martongelli (ARTHEMIS, ex-POWER QUEST) and Lars Rettkowitz (FREEDOM CALL).